This bowl of ramen is guaranteed not to satisfy any appetites. Masayuki Nakao, from the University of Tokyo, has developed the worlds smallest bowl of ramen. 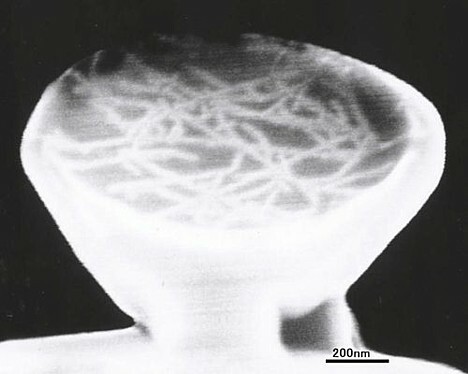 The 1-micron (1/1000mm or 1/100th the width of a piece of human hair) wide bowl is filled with lots of 20-nanometer (1/50,000mm) thick noodles. Which one looks more like a real girl?